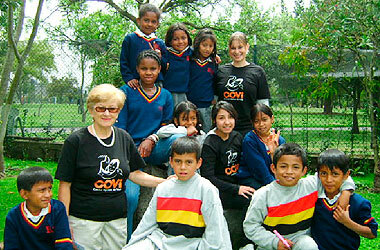 St. Gallen Haus is concerned with the social development of our community; therefore it created a volunteer program called COVI (Rescue Center for Children at Risk). It provides care for children on the streets and for children whose parents of scarce resources work all day. This is a totally free program funded and sustained by volunteers’ work and contributions in the form of food, cleaning supplies, or other requested items that the foundation needs. As part of your international experience, you have the option to participate with the foundation by contributing a few hours of your time, labor, and kindness. In return you receive the personal satisfaction of learning about others while making a child at risk smile. We hope you become part of this family and enrich your spirit through the blessing of giving!